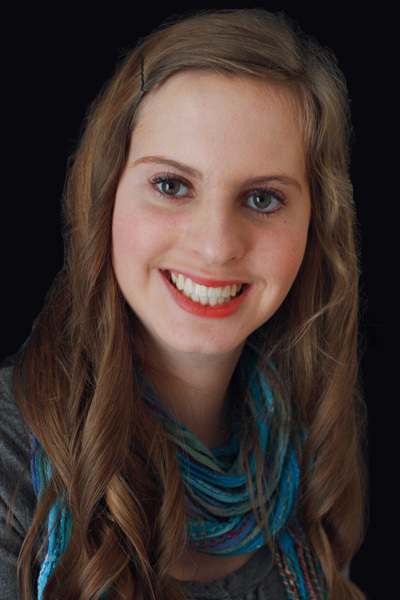 Yearbook photo for 2014 graduate Nicole Feyerherm. Graduate Nicole Feyerherm left Hays High in 2014 but never expected to move to Germany after studying abroad at the University of Duisburg-Essen in Essen, Germany. “Several things about Germany drew me to it. Like many people in Hays, I have ancestors from there, and even met some distant relatives of mine on my first study abroad,” Feyerherm said. Feyerherm also said the culture of Germany, alongside history, emphasizes healthy living which she appreciates. “Germans have a deep love and respect for nature. I lived in the most populated area of Germany, and each large city in that area had at least one huge park and oftentimes additional forest trails you could explore on foot or bike,” Feyerherm said. She also added that Germans are very passionate when it comes to recycling, keeping recycling bins every few blocks for paper, glass and old clothing and shoes. Another part of Germany Feyerherm liked was the public transportation provided throughout her city. “I used the subway and bus system to get to and from university every day, to do my shopping and to go to the train station to take the train to other cities,” Feyerherm said. As far as history goes, Feyerherm said the Holocaust was prevalent but other parts of history were just as much present. Feyerherm also said health insurance was “amazing” in Germany when she studied abroad. Feyerherm believes her experiences at Hays High helped her decide to move to Germany. Feyerherm said her involvement and grades at Hays High helped her earn enough money to study abroad, not to mention the German classes she took as well.